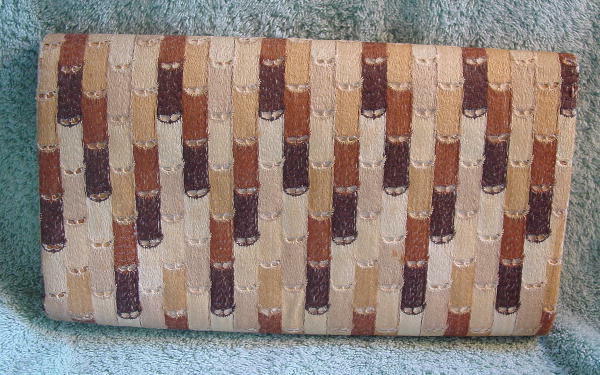 This vintage clutch has an envelope styling and is by Lennox Bags. 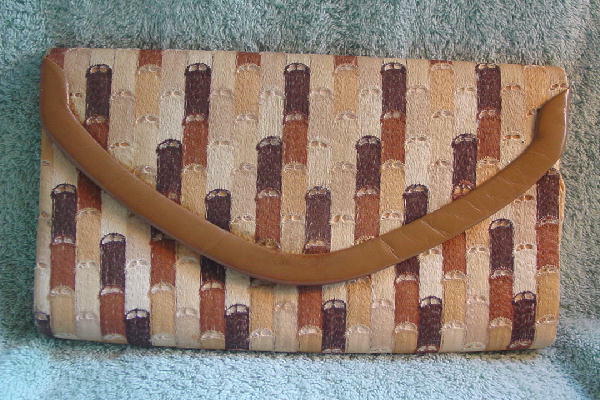 There is a vertical alternating line pattern with each line having a vertical soft straw-like thread section in dark brown, medium brown with a touch of rust, light camel, bone, and pale cocoa. The top of each color is rounded and has two cutout accents. 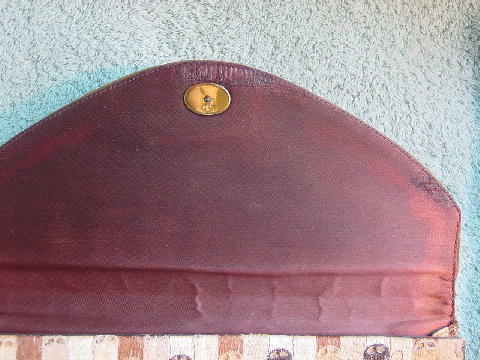 It has a cocoa-camel color leather trim on the bottom of the front lid. The interior brown fabric lining has some age darkening and above the top snap closure and also the right side, the fabric started to fray but has been glued in place. 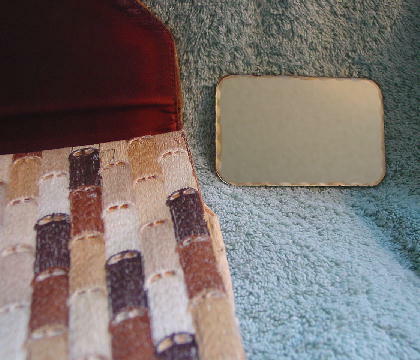 It has a 3 1/2" by 2 1/4" double sided mirror with interior scalloped edges. There is an interior zippered compartment with a light peach fabric lining and the other interior side has an open pocket. It has an eyecatching design.